I’ll pick up where I left off yesterday. Suzie was also foundation paper piecing. She stayed focused on these lovely blue blocks. 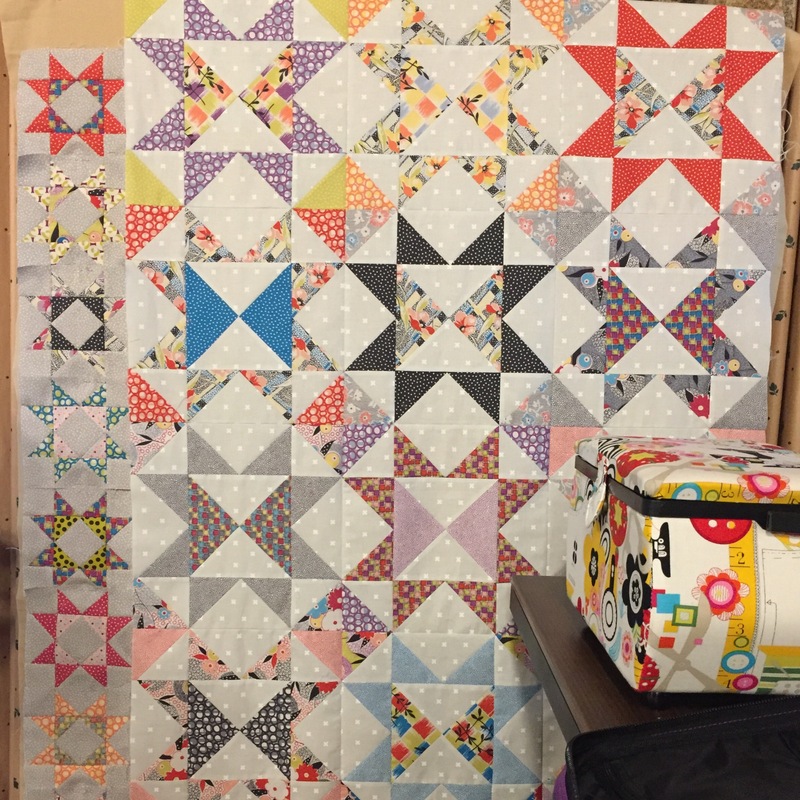 April came with the large star blocks made. She got them set together and began work on the Ohio Star border. Haley came with our Piecing book and fabric, ready to make Weave A Rainbow. 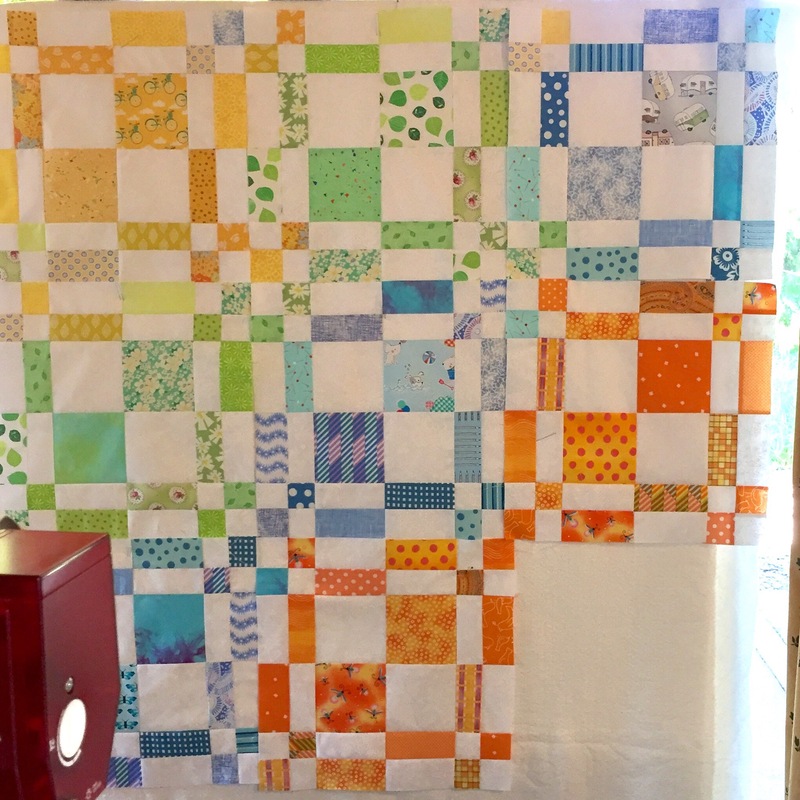 She made great progress and her quilt is going to be a stunner! 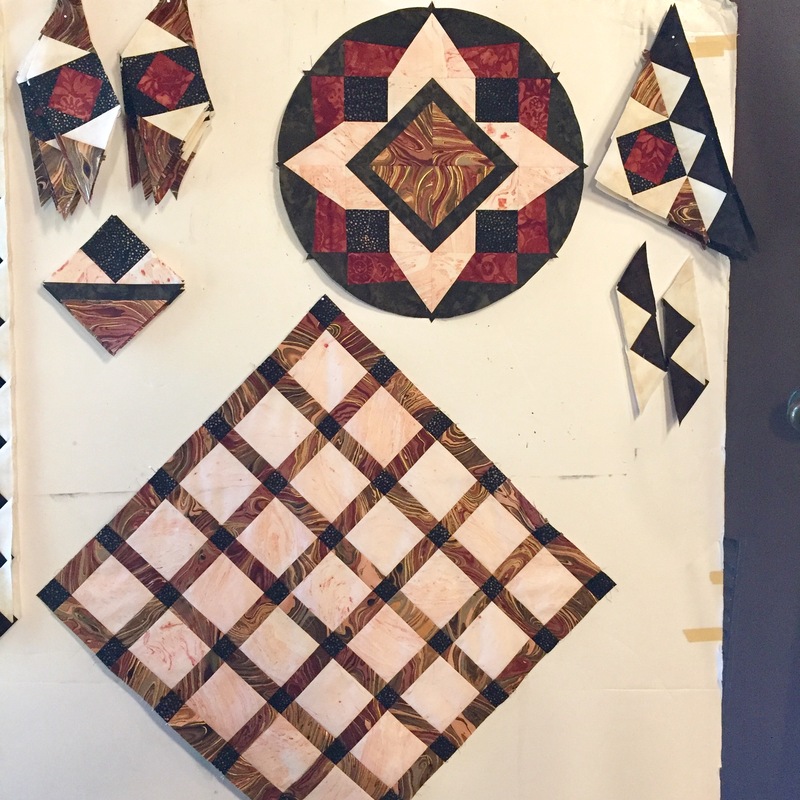 Michelle was very focused all week long and got a lot of the units made on her foundation paper piecing project. 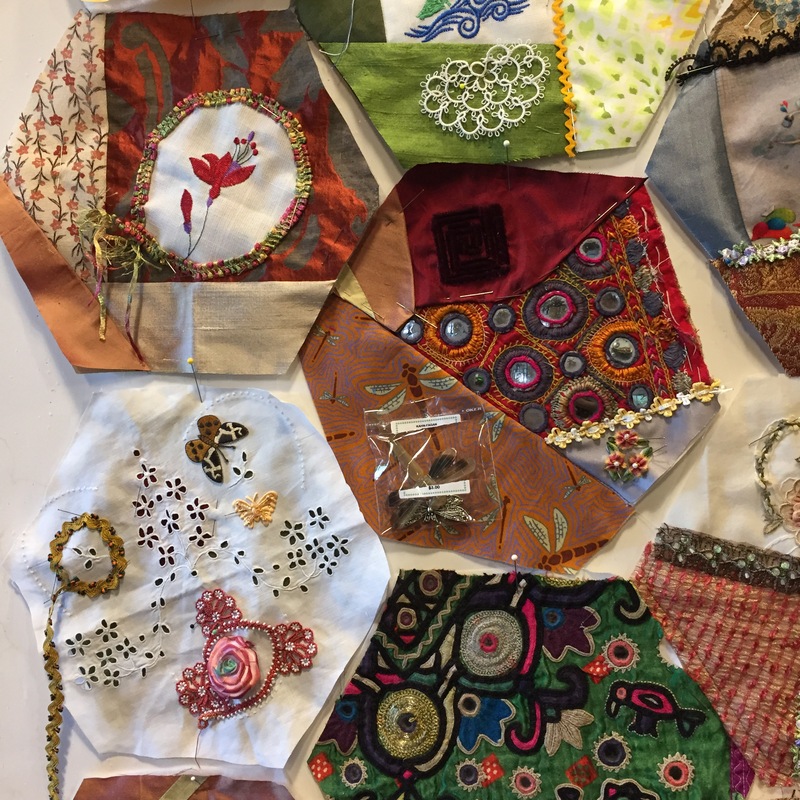 Ida came with a vision to make crazy quilt hexagons that will be heavily embellished. She left ready to begin the hand sewing. My job through all of this was to make suggestions, solve problems, be encouraging, and learn from my students. I always come away from a class having learned something. Classes are a win-win for everyone. Thank you, students everywhere! 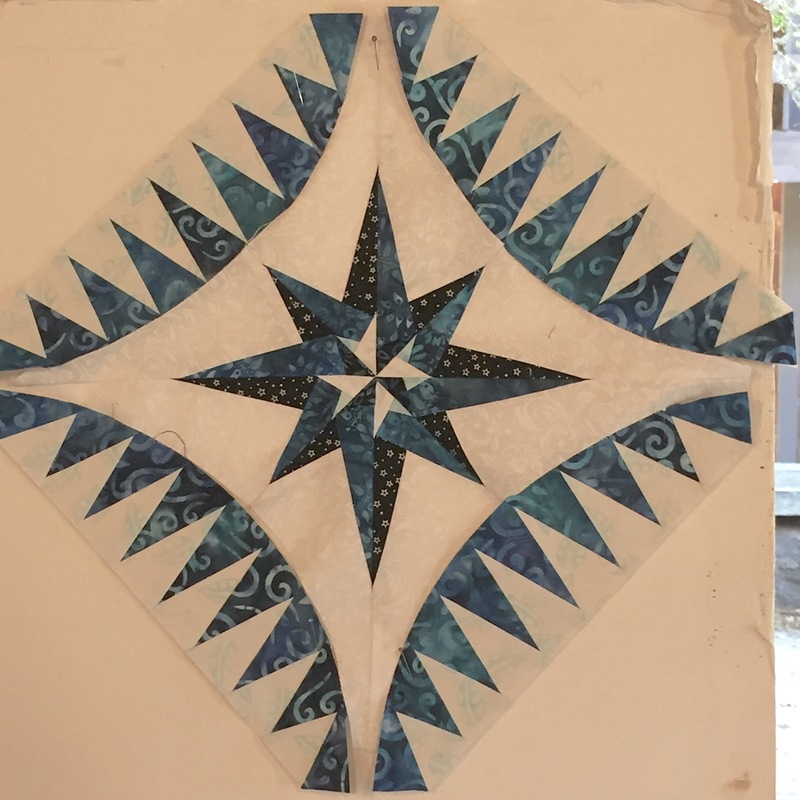 This entry was posted in Classes, Quilt Related and tagged empty spools seminars, independent study class, quilt class by Becky Goldsmith. Bookmark the permalink. they are all really great projects !!! I have got to get out there some day! We need good neighborhoods right now – thanks for your wonderful giveaways! I always enjoy your travel pictures. Love the house blocks. Thanks for your fun and informative blogs. Thank you for your work and life!